How does a tossed bowl of tapioca close a trans-dimensional portal? And how is it connected to a centuries-old druid artifact? Penny Preston, a gifted 8th grader existing in more than three dimensions, plans to find out. 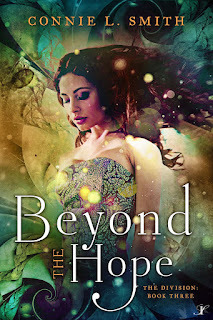 Together with her mysterious cat, she struggles to protect our universe from invaders, save her relationship with her best friend, and uncover her connection to Celtic legend. Unlike many authors, Armen can honestly say that he didn't voluntarily read a book until he finished The Hobbit in sixth grade. After that reading became a vice, as he ravenously devoured science fiction and fantasy stories. Taking a more practical approach to college, he earned a BS in Electrical Engineering from Rensselaer Polytechnic Institute, where he was an Honorable-Mention All-American swimmer his senior year. After serving as an officer in the USAF, working on top secret 'Area 51' projects, where he never saw a single alien (dead or alive), he left the service and earned an MBA from the University of North Carolina. He spent a decade riding the high-tech wave, moving more frequently than an informant in the Witness protection program. 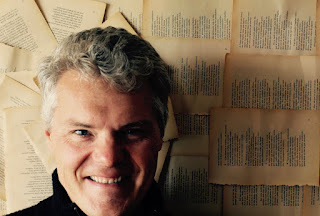 His stories mix elements of science and history with a healthy dose of fantasy. When not writing he can be found swimming, reading a book, or enjoying the outdoors with his family. He lives outside of Rochester, NY with his wife and three children. 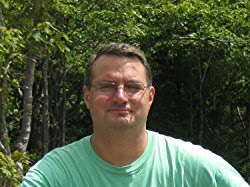 Today I would like to welcome Christopher Slayton, author of Chaos Company, to the Howling Turtle! I'd like to thank him for taking the time to answer a few of my questions! Tell us a bit about what you do when you are not writing. When I am not writing I’m usually working, reading, playing videogames, or exercising. I currently work full-time for Uber and Lyft and take up odd jobs on the site Taskrabbit. All three jobs allow for me to have more free time to write and to talk to people one on one about my book "Chaos Company," which is out now. As for reading, I can’t put down the Walking Dead tie-in novels! I’m currently reading the second one and am fortunate to know there are still eight more books to go! When it comes to exercising, I find it easier to get and stay in shape when I have something physically challenge to look forward to. Right now I’m training for the 2017 Spartan race in August which will be held in Philly! One phrase a lot of reviews use to describe "Chaos Company" is "action packed." 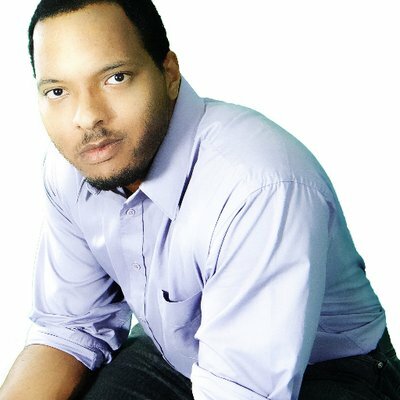 What's the key to writing an "action packed novel? I strongly believe putting yourself in physical and critical thinking activities is the key to writing an action-packed novel. I myself have been practicing martial arts on and off since I was six years old and started competing in martial arts fight when I was in college. I’m a huge fan of lazertag, paintball, and action/adventure shows, films and video games. Now I’m not saying you have to live and breathe all these things to write an action novel, but going out and finding something that gets your heart pumping is the key to bringing action to life in a novel. What sort of research went into writing this book? My research was split into three parts. The first is obviously from reading thrillers I love and admire such as Anthony Horowitz’s Alex Rider novels, the Halo novel series and Robert Kirkman’s Walking Dead tie-in novels. The second source for writing Chaos Company was researching DC and Marvel entertainment, from their comics to their films and shows. The final source was from tactical and strategic video games such as Rainbow Six and XCOM. Now I know that just sounds like having fun lol, but I always made sure I was taking note of the appeal of the stories of each product, either by having a notepad close at hand or quickly make a memo on my cell phone. That way when it was time to write I could refer back to my notes and implement them into my writing while still keeping my story original. If "Chaos Company" were going to be made into a movie, who would you want to be the director, the artist/composer in charge of the score and/or soundtrack, and an actor to play one of your main characters and why? Haha! Isn’t that the dream for all writers? If it were to happen (fingers crossed) I would love for Maurissa and Kevin Tancharoen to co-direct “Chaos Company”. I’ve been following them both for years now and love the work to do. Any viewer who has experience d their projects can tell that the two of them put a lot of energy in their work, and that is exactly what I would want in a director. Are you working on any new writing projects right now? Oh, absolutely! Right now I’m working on a vigilante novel I’m hoping to have released by this fall. And there is definitely a sequel to "Chaos Company" that I hope to have out by February 2018. I have a few other projects but as of right now they are only outlines. If you could travel to the story world of any books which would it be and why? Oh, it would definitely be the Harry Potter Universe! The dangers aside, who wouldn’t want to go to a school of magic and learn how to cast spells and befriend mythical creatures? The highly effective team of super-powered soldiers code-named Chaos Company has returned to the United States to be commended for their bravery. While on leave the team finds themselves at odds with the highly dangerous mercenary Liam King, who has been contracted to assassinate President Jennifer Grey. Chaos Company thwarts Liam’s attack, but at the cost of team leader Tyler Young’s life. With their leader killed the team looks to Desmond Striker to guide them in a hunt for Liam. During their hunt the team will find themselves in the cross-hairs of a private military company and have their abilities pushed to their limits. Before Chaos Company finally comes to blows with Liam they will discover that their greatest threat is a leader within their own country. Sometimes unlikely alliances are the only way to succeed. Shattered Fates by Rebecca Roland is available in ebook and paperback today, May 23, 2017, from Amazon, Barnes and Noble, Kobo, iTunes and World Weaver Press, and for wholesale through Ingram. 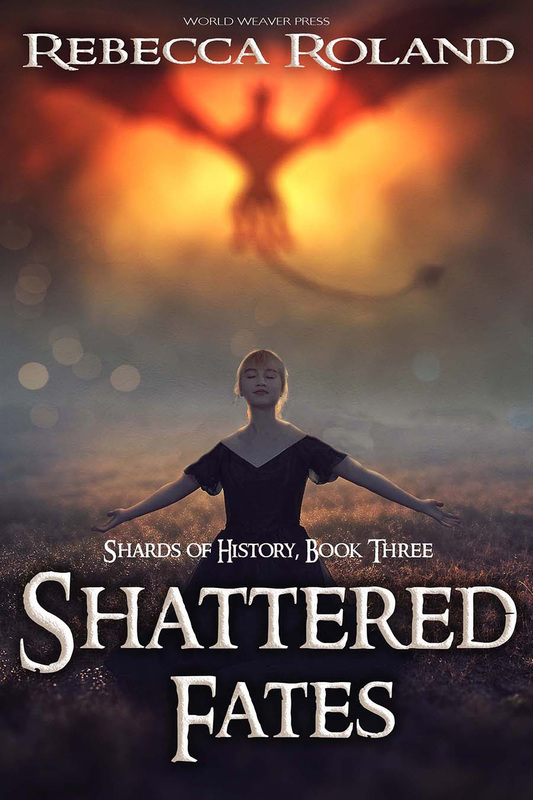 Shattered Fates is the final installment in the Shards of History series. In 1990, the world ended. A disease turned people into walking shells of themselves. Zombies. Most of them were harmless, but some were broken by the pressure of the disease. The cracked became ravenous killers whose bite infected. To escape the apocalypse, Eric, a young, overweight boy of 16, sets off on a journey across the United States. His plan is to hike from Ohio to an island in Maine, far from the ruins of cities, where the lake and the fierce winters will protect him from both Zombies and the gangs that roam the country. Along the way, Eric finds friends and enemies, hope and despair, love and hatred. The World Without Crows is the story of what he must become to survive. For him and the people he would come to love, the end is only the beginning. 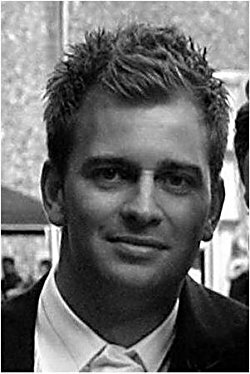 Born in Buckfield, a rural town in the state of Maine, Ben Lyle Bedard grew up in the country. He studied at the University of Maine at Farmington. After graduating from college, he eventually moved across the country to Oregon and then California, where he studied for his Master’s Degree at Mills College, in Oakland. He moved to Buffalo for his PhD. In Buffalo he met his future wife, a Fulbright scholar from Chile. Bedard followed her back to Chile where they married. Now they live in La Serena, Chile, where Ben teaches English and writes novels in many genres. Today I am thrilled to welcome Catherine Milos, author of the Angels and Avalon series to the Howling Turtle. She was gracious enough to answer some questions for me. What do you like about writing in the New Adult genre? Almost anything goes. New Adult still has the echoes of unlimited possibilities, but I am able to touch on more complex issues that the Young Adult and Middle Grade genres flagrantly avoid. I can delve into themes and concepts surrounding identity, sexuality, philosophy, psychology, belief, and more. I can spotlight the darkness and complexity within humanity in ways that other genres don’t like to. As a general rule, New Adult has less limitations and expectations from readers and the industry. I’ve been a professional writer since seventeen. I’ve published articles, poems, essays, but most of them have been as a ghost writer. Before that, I read. I read every minute of every day that I could steal away. Reading was a lifeline, a place of security, safety, and majesty. I also wrote short stories, poems, and novels for the sake of writing stories. It’s a terribly beautiful compulsion. If I don’t write, I feel unsettled, like I’m not doing what I am supposed to be doing. You mean aside from the writing process? Being my own boss and the solitude. I thrive on solitude. I love being able to create a project and guide it from start to finish, where stories become a physical book that you can hold in your hands. I love being my own boss, but it can also be really difficult. In reality, writing is a business, and putting that business hat on can be torture sometimes, especially when all I want to do is write. What's the hardest part about writing fantasy? The hardest part about writing fantasy is editing fantasy. Or is it writing fantasy? Hmm… When it comes to fantasy, I’m a discovery writer (and editor by trade). I constantly battle between the creative flow and the critical edit. I’ve written 80,000 words, only to delete and rewrite 50,000 of them. I once had to rewrite 30,000 words in 14 days. Since I work during the day, this stint almost killed me. The only person who understood was my best friend, who was writing her PhD at the time. It’s getting the story right so the reader can enjoy it. If you could go on vacation to any fictional world, which would it be and why? Oh darn, that’s tough. Do I go to the academic inspired, intellectual and romantic world of Deborah Harkness’ A Discovery of Witches? Or, do I end up at Hogwarts (I’m a Gryffindor by the way, if anyone was curious)? Maybe Angela Roquet’s world in Graveyard Shift… Oh! Or maybe my childhood favorite Patricia C. Wrede’s Enchanted Forest world… uh.. I think I might need a travel guide. What is your favorite book that you've read in the last six months? Reincarnated, Adamina and Gabriel desperately try to find each other and stop Lucifer. But a soul can only take so much. Elizabeth McAllistar wants a new life free of Angels and Avalon. 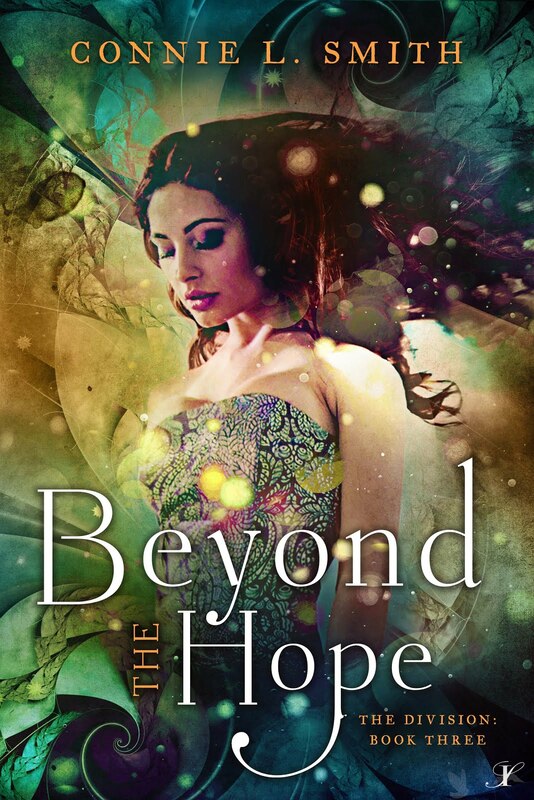 Will she be able to overcome the tragedy and the past that haunts her? From the carnivorous pixies in the shadows to the wolves in the streets, Vaun thought he knew all the dangers of his city. But when whispers of treason bring down the fury of the Queen, he'll have to race to save the lives and souls of those he loves. 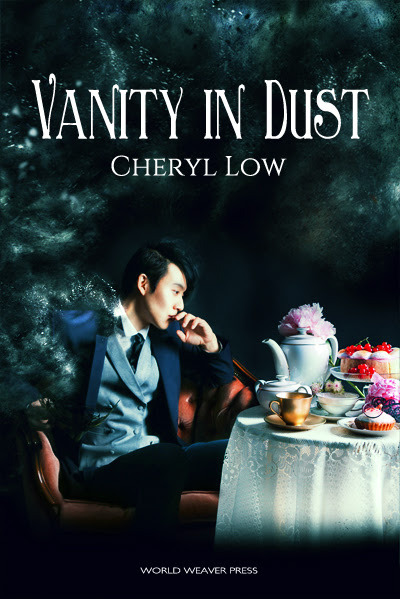 Vanity in Dust will be available in trade paperback and ebook via World Weaver Press and other online retailers, and for wholesale through Ingram. Meredith and Theo both have their lives mapped out for them as a protector and guardian. They were born to protect people with an important destiny. However, not everything they've been told is true and they face difficult choices and obstacles as they struggle with their responsibilities, while trying to do the right thing. They discover that sometimes there is no good side to be on. 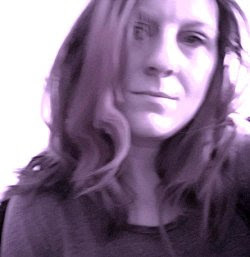 Amanda Steel was born in Bradford (UK) in 1979 and now calls Manchester her home. She always enjoyed writing as a child. One teacher even told her parents that English was the only subject she was good at. 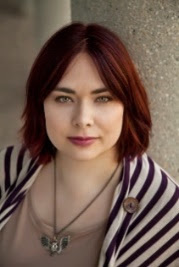 She now enjoys writing online articles, short fiction, poetry and more recently longer works such as her novel 'While I was gone' which can be found on Amazon as well as some of her individual short stories. Amanda can either be found sat in front of a laptop, with her head buried in book either for research or study purposes or occasionally at the cinema (to get inspiration of course). What if, as a child, you could move the world with your mind? Think of the possibilities. But what if you couldn’t control it, and buildings toppled in your sleep? Think of the consequences. Ethan and Tilly Wolfe are special. It’s a cruel, devastating kind of special that causes death and destruction in equal measure. Nobody is safe. Not even those who love them. RW Adams had the good fortune to be born in 1978 to a teacher and an editor in a house full of books. Having graduated in philosophy he realised nobody would pay him to philosophise, so he ended up having to settle for the excitement and glamour of a public sector IT career, which, despite what anybody might tell you, is as exciting as it sounds. When not working or spending time with his wife and two daughters, he alternates between reading, writing and arguing with people about important things, unimportant things, and everything in-between. 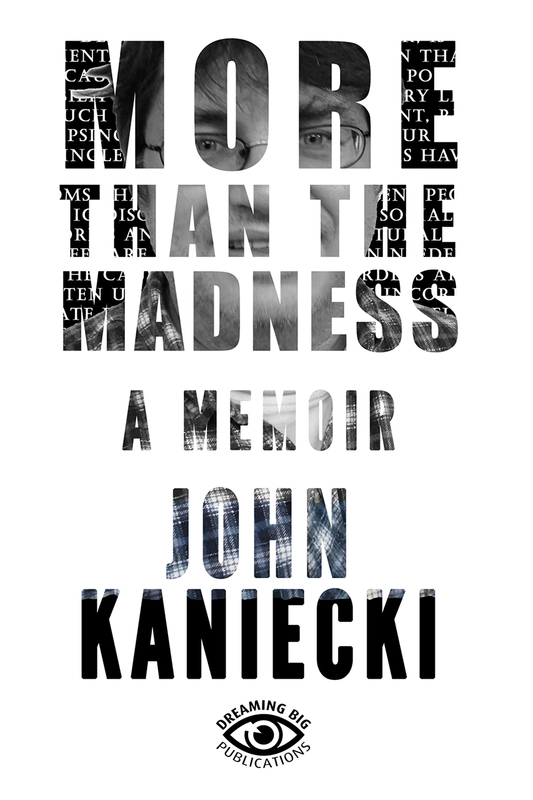 In October, 2016, John Kaniecki's More than the Madness was released in paperback and ebook. We are happy to announce that the audio version is available! ABOUT THE BOOK:This book gives readers a glimpse into the life of someone living with bipolar disorder. It’s not a clinical book filled with facts and figures, but a book of humanity. Anyone who would like an electronic version of this book to review, please contact us on our website.